Perimeter security systems come in all shapes and sizes but there are some key factors that determine what goes into creating truly effective and reliable perimeter security. Amongst these factors are three that all begin with the letter Q. So we will dedicate our coverage of the letter Q in our A-Z Alphabet of Perimeter Security to these three factors. For a perimeter security system to be reliable the quality of core components cannot be over-stated. Many components in security systems are rated in line with the expected performance requirement but Advanced Perimeter Systems Limited goes one step further. 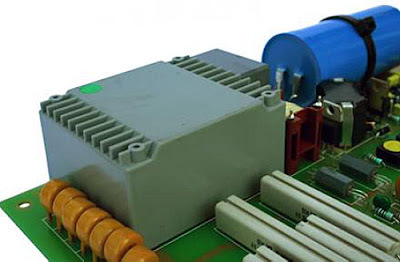 The core components of the systems manufactured by APS such as electric fence system energisers and analysers are in fact over-rated. So their performance capacity goes well beyond what is generally demanded from them and gives customers extra confidence in using them as part of their integrated security solution. The Quality Policy of the company as perimeter security manufacturers also plays an important part in this regard. When a customer knows that only top quality components are used in their perimeter security system, they readily put their trust in the supplier. In addition, however, if the installer of the system does a quality job then they are likely to not only be a happy customer but a repeat customer! Having our own approved network of installers who recognise the importance of the work they undertake means we readily receive compliments after the completion of a system installation. 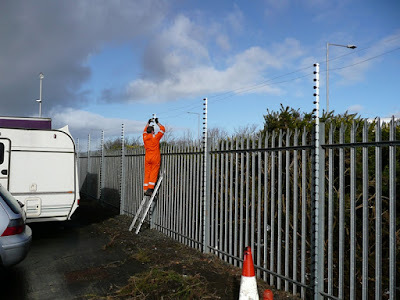 what type of perimeter fencing can be protected by detection equipment? what if we want perimeter security but don't have a perimeter fence? how can we protect gates within our perimeter fence? what limitations of outdoor temperatures can the electric fence cope with? can you help us work out how to protect specific zones within our perimeter? Our perimeter security FAQ page gives answers to some of the most common questions but we also encourage people to call us. We have a wealth of experience and expertise when it comes to perimeter security and because we manufacture what we supply we have a much greater depth of knowledge about system requirements, applications and the range of options that will suit your needs. One thing we will always do is listen carefully to your questions, note your requirements and then we will quote for what we believe you actually need. That is not always what a customer says they want! In fact, there are times when what we suggest proves to be cheaper and simpler than what the customer anticipated, so it's a win-win situation!